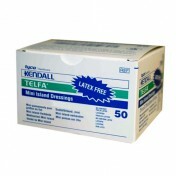 TELFA AMD Dressings are antimicrobial sponge dressings impregnated with PHMB (Polyhexamethylene Biguanide). PHMB is a gentle yet efficacious antiseptic that is a powerful, safe antiseptic with broad range effectiveness against gram positive and gram negative microorganisms. 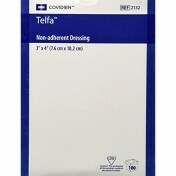 Manufactured by Covidien, TELFA AMD Antimicrobial Non-Adherent Dressing is also effective against some multi-drug resistant strains such as MRSA. 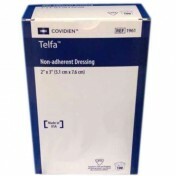 The Telfa™ AMD Antimicrobial Non-Adherent Dressing has a perforated mylar film with an absorbent core for use as a primary dressing for lightly draining wounds. 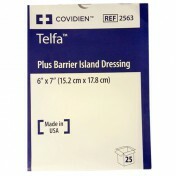 TELFA AMD Antimicrobial Dressings resist bacterial colonization and reduces bacterial penetration. 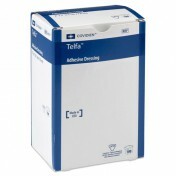 Clinical studies have shown that Telfa AMD Antimicrobial Dressings have no negative impact to epithelialization. Contains PHMB which is highly effective against most organisms. Limits cross-contamination from patient to patient, patient to clinician, and patient to the environment. 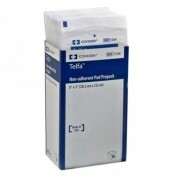 Minimizes infection exposure from strike-through. 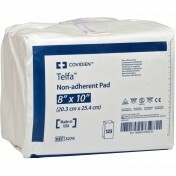 Reduces the risk of hospital acquired infection. 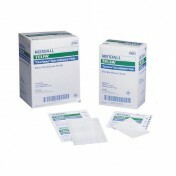 Can be used as a primary dressing to minimize bacterial log counts in the wound bed. 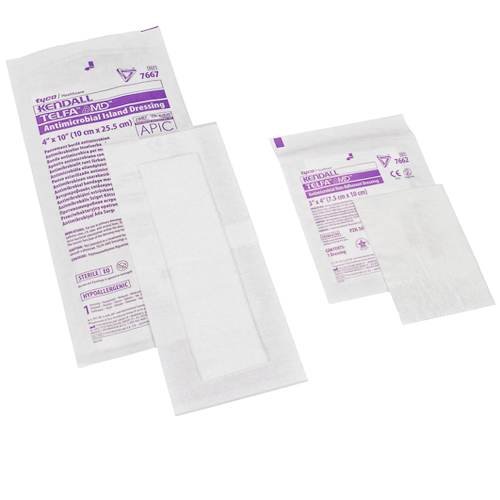 Can be used as a secondary dressing to eliminate growth within the gauze and protect against bacterial proliferation through the gauze. Width Options: 3 and 4 Inches. Length Options: 4, 5, 8, 10 and 14 Inches. 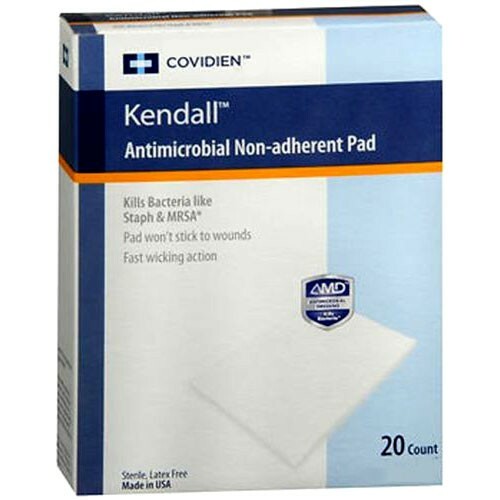 AMD Antimicrobial Sponge, Non-Adherent Dressing. HCPCS codes: A6222, A6223, A6203, A6204. Doctors use these. I wish they could be purchased in local stores, but I'm happy I was able to order them online. 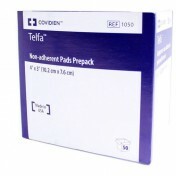 Does not stick to wounds and is very absorbent. Good price for the box of 50.